Good morning this rainy Saturday morning. I love rainy Saturday mornings, who doesn’t really? but on a day as today when a bosom friend is supposed to walk down the aisle, my love for Saturday morning rains is short-lived. So I’ll soon switch to Elijah mode, praying that the rain goes away and comes back on another Saturday. Let’s get the blog over with first of all. The big news really is that Giwa FC has been expelled from the Championship. The LMC released a statement yesterday in a move that many thought was never going to happen. Would have loved to copy and paste the statement here but it’s quite lengthy, you could privately ask for it and I’ll mail it to you. What this expulsion means is that every point anyone had gotten off him is null and void. And that of course means the League table has changed slightly. Looking back at the whole incident, it’s hard not to wonder about what could have happened if things had gone differently. Aside the violence that marred their game with Rangers, the fact that the club vehemently refused to accept serving their punishment is just difficult to understand. Yet few hours to the deciding game, they roll out a letter accepting to play those games but not at the LMC’s choice venue which is within their geopolitical zone as the law had stated. The mere fact that they were demanding to choose their own punishment and the time when they should be punished is disrespectful to the League organizers as well as the other three teams that had made the respective trips from Bauchi and Uyo and Aba to Illorin for those fixtures. This isn’t the first time a club had been banished away from home. Kano Pillars, FC Taraba have all been sent away from home for various offenses in the past. So this expulsion, is totally deserved in every sense of it. You would want to feel sorry for the players and the manager who have seen this come upon them due to the careless decisions of their owner. Well, also grateful that the law makes a safety net for these guys to move clubs. Is there a player from Giwa FC I’ll love Enyimba to buy? No. I can’t think of any right now because we are bursting at the seams already. But of course, the likes of Pillars and Heartland have already made their interests on some of these players known and guess when the transfer window opens? Next week Monday. From an NPFL fan point of view I feel proud that the LMC held their foot down and made the right decision based on the laws of the competition. Anything short of that would have seen us go five steps backwards and the credibility that the LMC has worked so hard to achieve would have been flung out of the window. So thank you to the league managers for doing the right thing. Doubt there would be another team that wakes up to such madness in the near future. If we really want to build our League, we have to strive to do things the right way. I mean we see the European leagues and we want to emulate them, staying disciplined and organized is a nice place to start. The only downside is that we never beat them in the League, those baby elephants. We drew them 0-0 in Aba and lost 1-0 at their place for two consecutive seasons. It’s a shame really cos this season we were planning a 4-0 trashing for them. 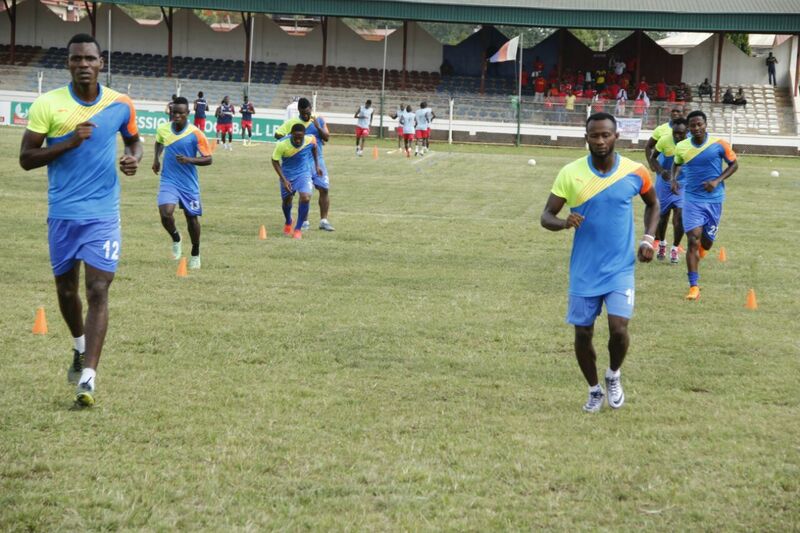 We will reserve that for Nasarawa United who we play this evening in Umuahia. We’ll have a full match preview in a bit. Time to go stop the rains.